I had no idea I had been away for so long !! I have not been doing too much in the studio lately, but I am starting to get back into some creating again ! A new puppy and kids home from school have kept me busy the last couple of weeks. I am getting into the swing of summer and five days into puppy ownership we are getting a schedule. Such an easy puppy , we are so lucky. 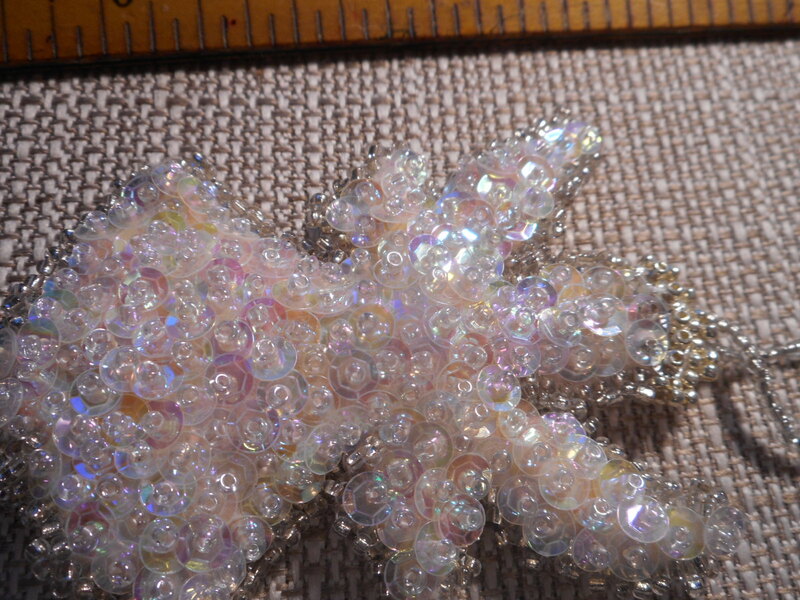 I have been working on some bead work again. 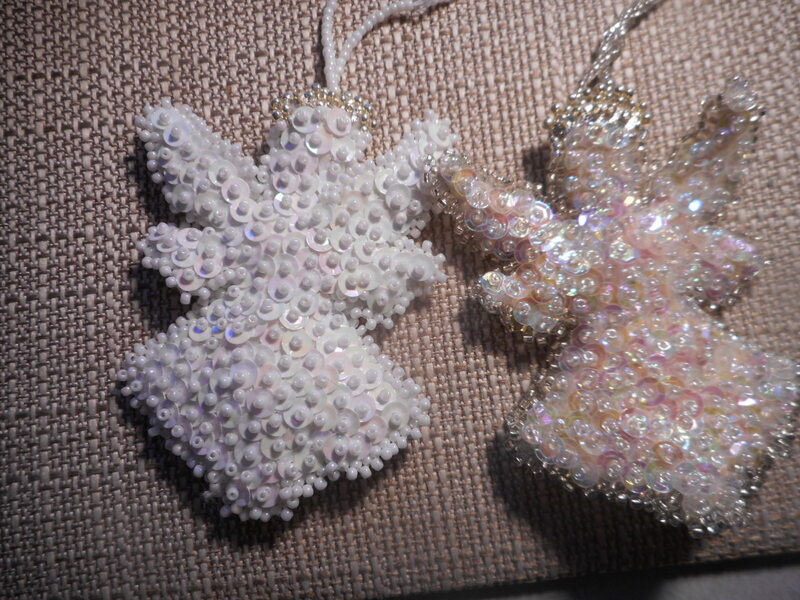 My beaded angels. I made up two so far and I plan to make up a few for my mother in law and a beaded crown for a friends baby due later this summer. I thought it would be fun to show the same angel done two different ways. 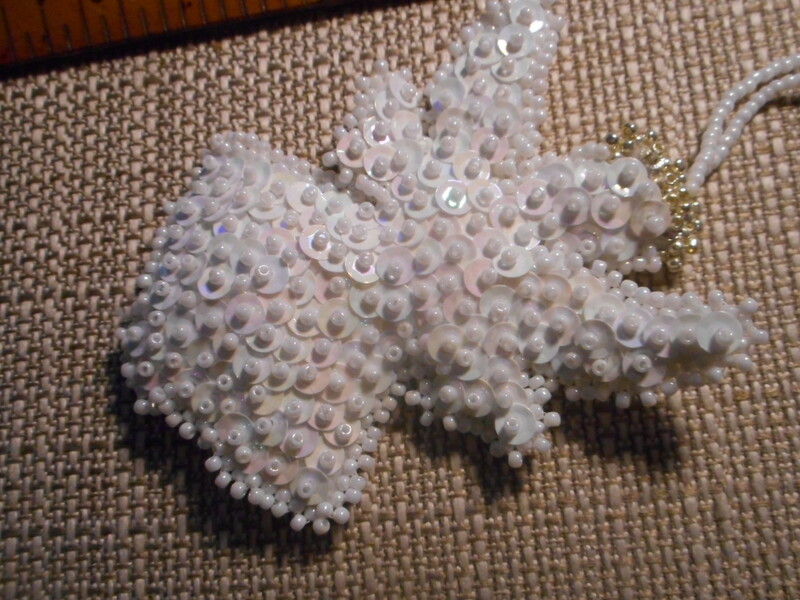 One with opague, pearl style seed beads and sequins, and another with clear iredescent seed beads and sequins over the color felt I wanted the piece to be. 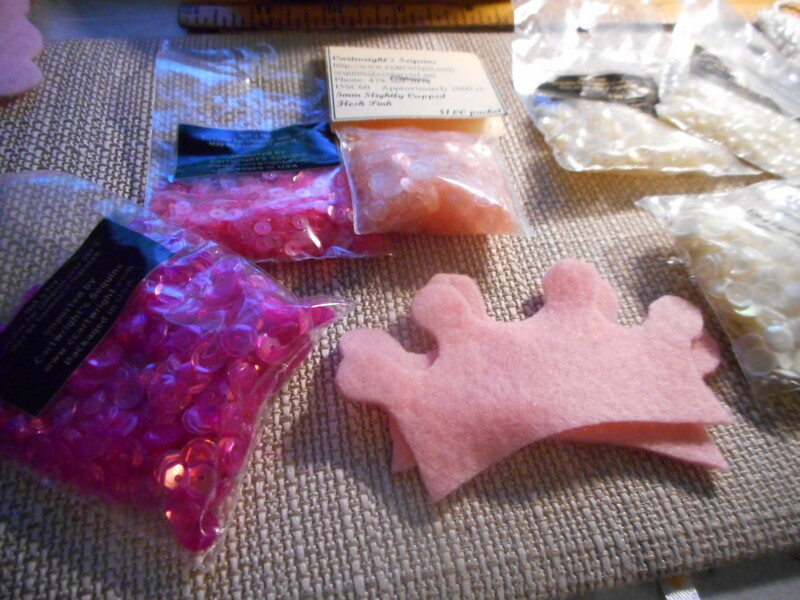 I love the pink sparkly one the best, I made that for me. The other I made on request for someone. I really like it, thought it tuned out nice, but just love the subtle pink with the very sparkly feel to it. I used vintage seed beads on the edge of the pink one, taken off of a very old beaded purse . 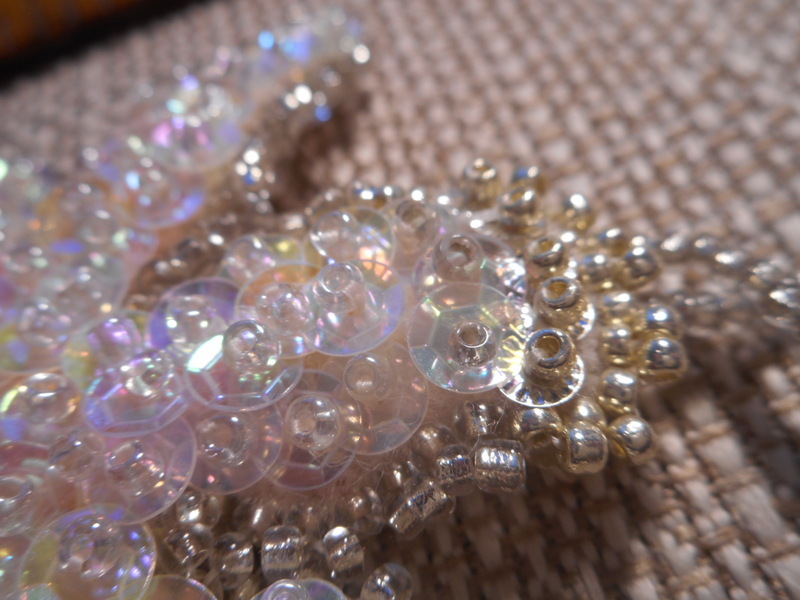 They are silver lined clear 11/0 seed beads, as are all the seed beads on both projects. I rarely use any other size. 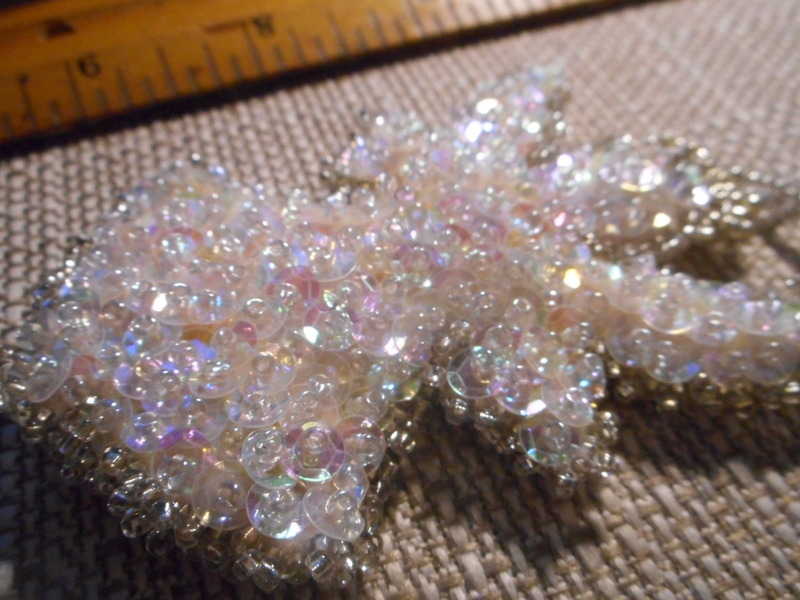 You can see the sequins are clear, but very sparkly. They look almost like bubbles a child would blow into the air. Sparkly and so colorful. They enhance the color that is below it. They are the first sequins I had. Literally, these are the first sequins I had. I bought about eight large bags at the time , which was 25 years ago, and I still have four or five bags of them. I think they are 3000 count per bag. 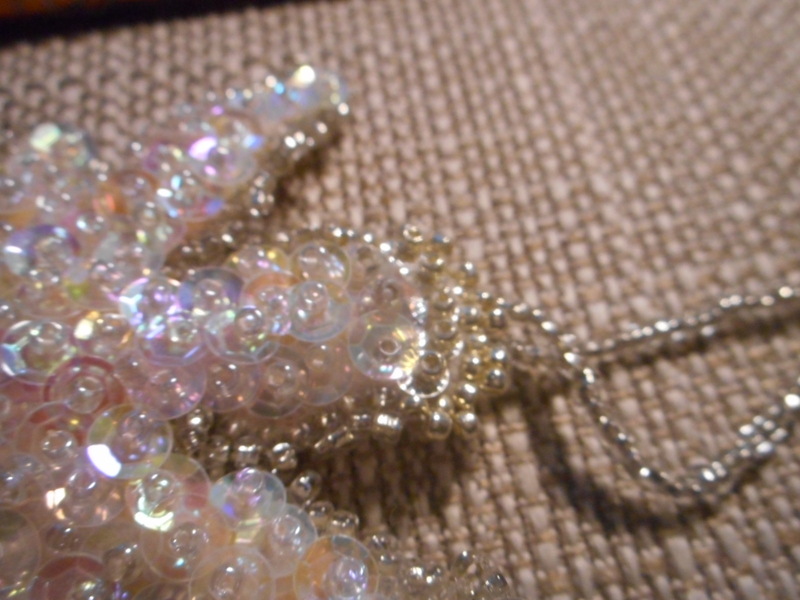 The beads are clear glass and have the same iredescent coating the sequins have . The silver sead beads are new but the silver sequins are vintage metal sequins I combined with glass seed beads that have a silver finish on them. Great for this type of application as they should not be washed or handled a lot to keep the finish nice. 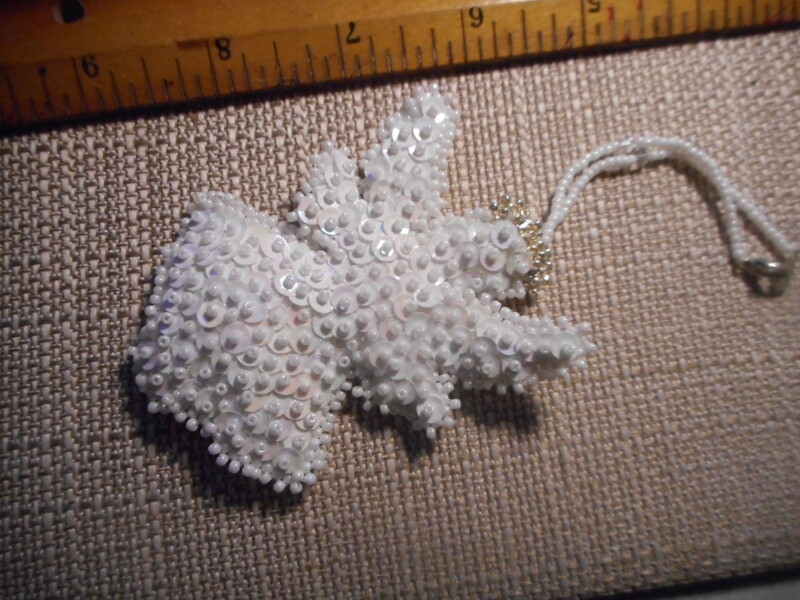 It can wear from being touched a lot, say putting on earrings or a bracelet rubbing on your skin as you wear it , but these angels being decorative will look nice for a long time. 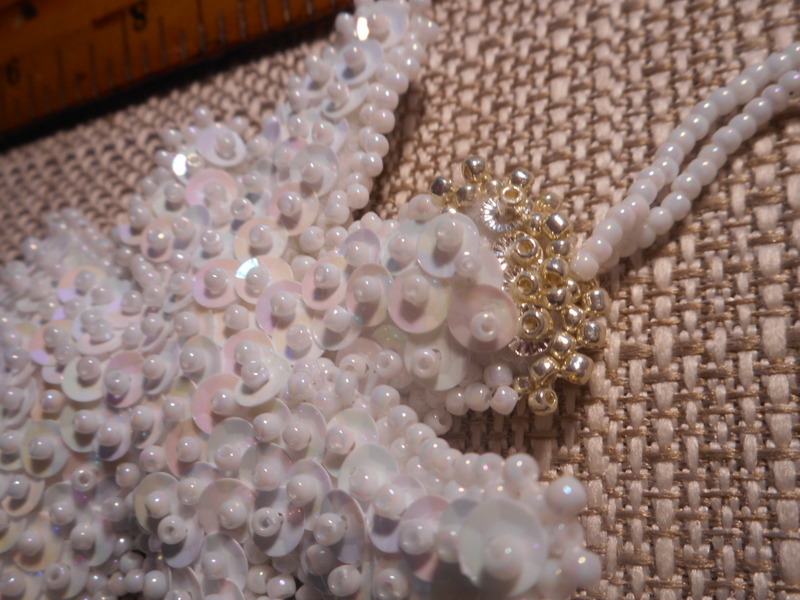 The pearl angel is white felt, pearl white sequins, pearl white sead beads, and the same silver halo as the pink one. 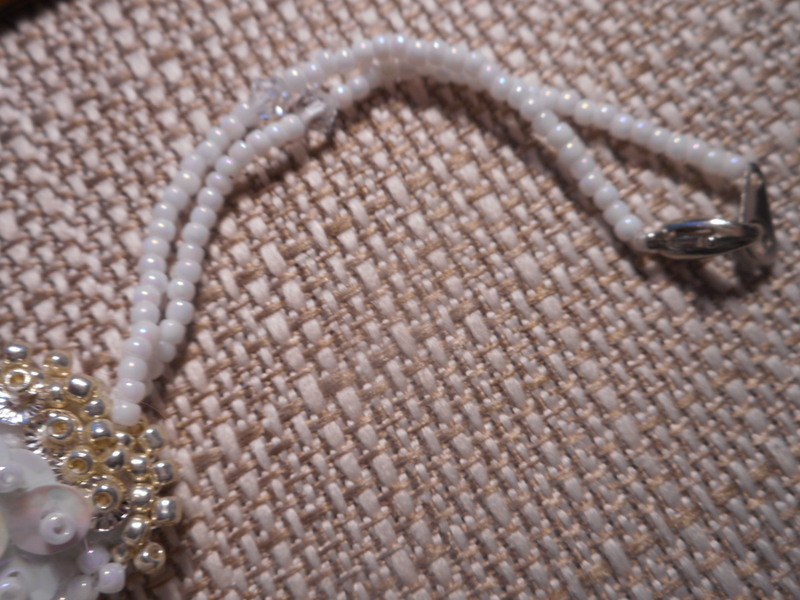 I added a clasp to this one for hooking on a car mirror as requested. Some I make with loops, some with clasps. I added a couple of pretty clear cyrstals for decoration mid way up the loop on both sides. 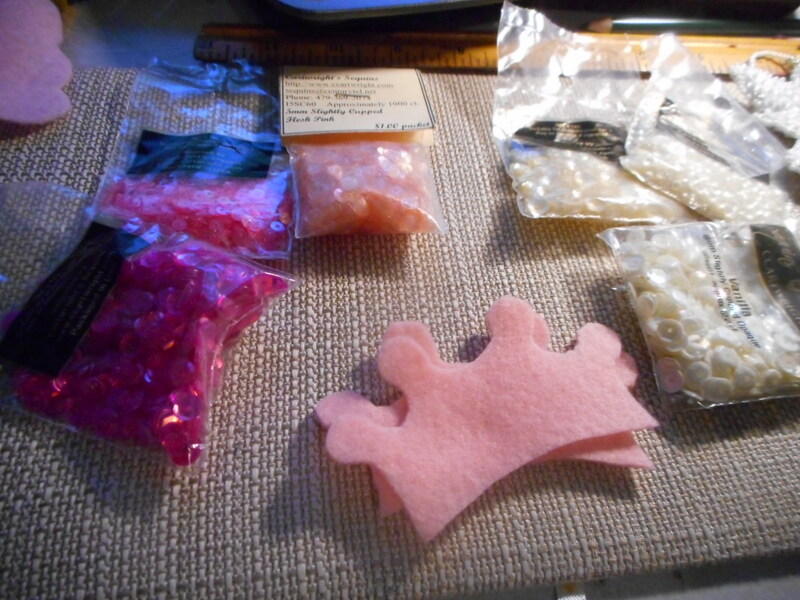 I have all the stuff together to make the crown. I plan to get started on that one right away. I will take pictures to share here when it is done !! I have three more angels like the ones above to make, a turquoise blue, a lavender, and a leaf green. An order that I am excited to make up, as a gift for the person who requested them !! I will s hare those when done as well !!! Thanks for stopping by. I will not take so long to post again, I was really shocked to see how long it had been !!! ← Some treasures I found today !! Thanks for stopping by Gayle, sorry I missed your post !! I normally see them as they come in !! I appreciate your kind words !! !